We finally settled on a name for our second bundle of joy! 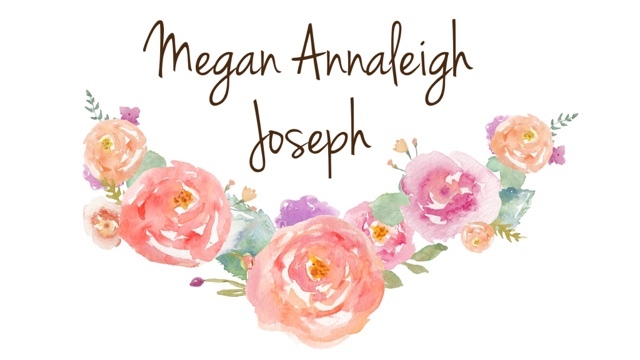 Well, we really liked the name "Megan" which has a few meanings but all very beautiful and we decided on Megan almost immediately. In Greek or American, Megan means "pearl". The Anglo-saxon version means "strong & capable" & the Persian meaning of the name (which I love the most) means "child of light". Among the few first names we gave thought to included "Kiera" which I really loved but "Kiera" means "dark skinned" which quite frankly, isn't quite as meaningful and appealing compared to Megan. In case you're wondering, if we were expecting a baby boy, we were intending to name him Ryan Shane. Ryan cause we think it's a very nice name (and also the only name we agreed on) with a really adorable meaning - "little king" & Shane because it literally means "God's grace" and I thought it'll be lovely to have our son named after his daddy. I love every bit of her name already and I can't wait to caress her in my arms! Getting more excited as the days go by! We all can't wait for your arrival, little princess! But for now, keep growing well inside of Mommy!